DADaPalooza: How we liked Disney on Ice! 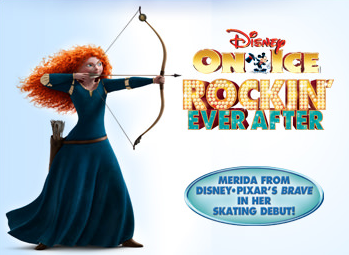 How we liked Disney on Ice! 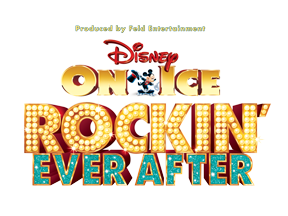 We recently saw Disney on Ice at the Barclays Center in Brooklyn last night with my wife and son. In a nutshell, we loved the show. And when it comes to your area, we highly recommend you go. I've been to a couple of Ice shows in the past, and this was really a great example of super production values. The costumes, lighting, skating, and pretty much everything about the show was really great. Afterwards my wife said that it made her want to go to Disney World again, because of the smile on my son's face (we went once when he was 2.5. He's 4 now) Damn you, Walt, you've done your work! There are 4 main parts to the show, each telling the basic story of a different Disney property-- Tangled, Beauty and the Beast, The Little Mermaid, and Brave. And the skating was fantastic-- many of the skaters were Olympians. I think my favorite costume was the horse from Tangled-- they did a great job, two guys (or maybe girls) dressed up as a horse and skating! The least professional thing about the evening was the Barclays staff. Or perhaps they were overly professional. They also wand everybody, including my 4 year old child. Yeah, I guess it's possible he's a terrorist. But if that's the case, YOU'VE ALREADY LOST!